Welcome to our Simple MP3 Player! What? You are looking for a wav player? No worries, we got you covered! The Simple MP3 Player supports multiple audio file formats, such as mp3, aiff, caf, mp4, mp2, mp1, aac, au, m4r, and, of course, the wav file format! What is an MP3 player like this capable of? It looks and functions a lot like a hand-held MP3 player, but on your computer screen. It lets you play your own audio files, such as, say, wav sound effects or a voice diary, on your computer. And it’s really easy to use! The app design features familiar buttons: Play, Pause, Rewind, Fast-forward. Our MP3 player app also lets you adjust the volume and use a scroll bar to skip to the exact spot in the track you need. It shows you the list of your audio files, and you can add to that list any time. It displays the title of the track currently playing. And here is something else this MP3 player app can do that your hand-held player can’t: you can Clone the player and create a whole new playlist for the player #2! Then, you can use the players either together or separately., for example, you can play voice notes on player #1 and music on player #2. All you need to do is Drag & Drop your MP3, or MP4 files (see the list of supported file formats above) into the app, select a play mode (In order, Loop or Shuffle) and hit Play! Download it today! 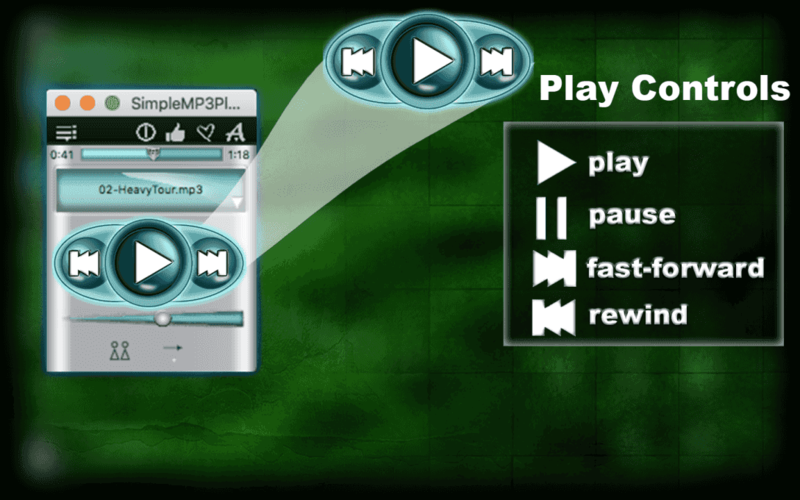 Try our FREE version of Simple MP3 Player Lite! Hello and welcome to Simple MP3 Player! 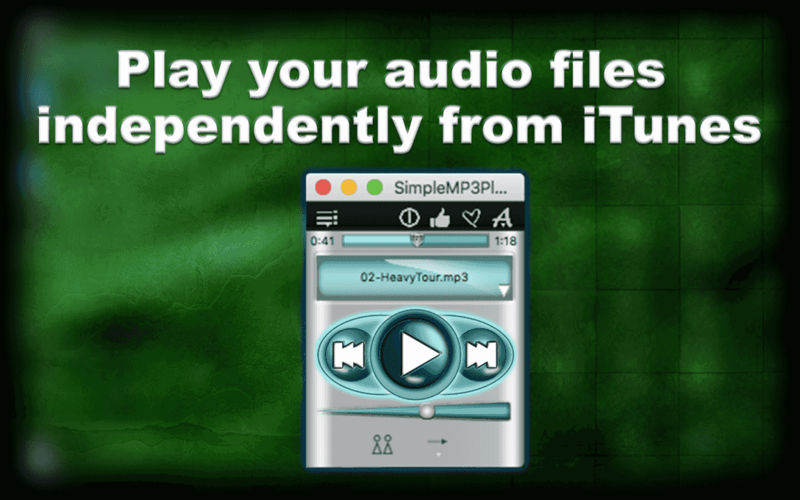 This app does exactly what its name says- it plays your MP3 files, and it’s really easy to use! The controls are just like the ones on a hand-held MP3 player: Play, pause, rewind, fast-forward. You can also adjust the volume. 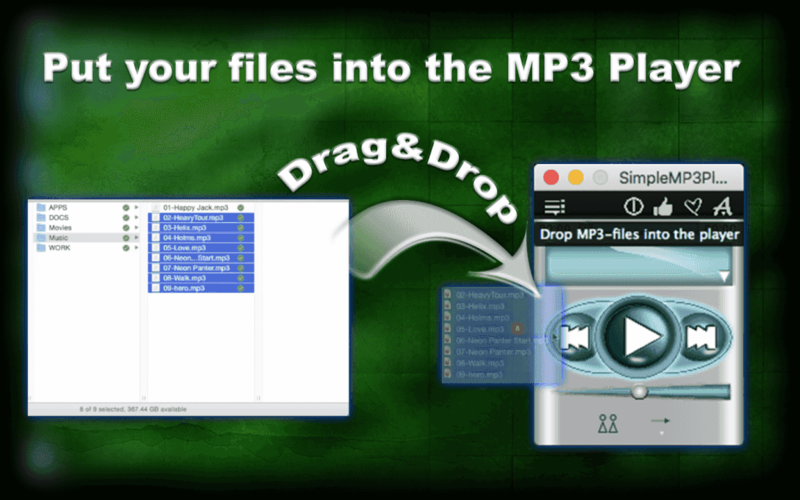 Simply Drag&Drop your MP3 files into the player (the blue bar). 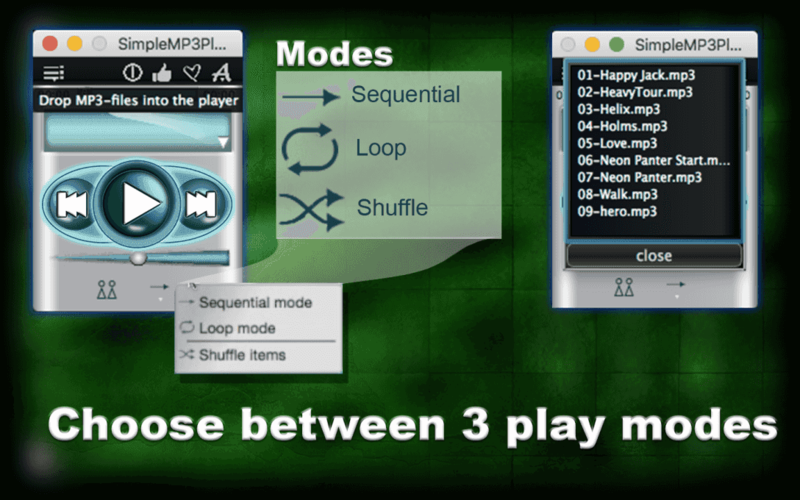 Now, choose between 3 Play modes: Sequential, or Play in order, Loop, or Shuffle. 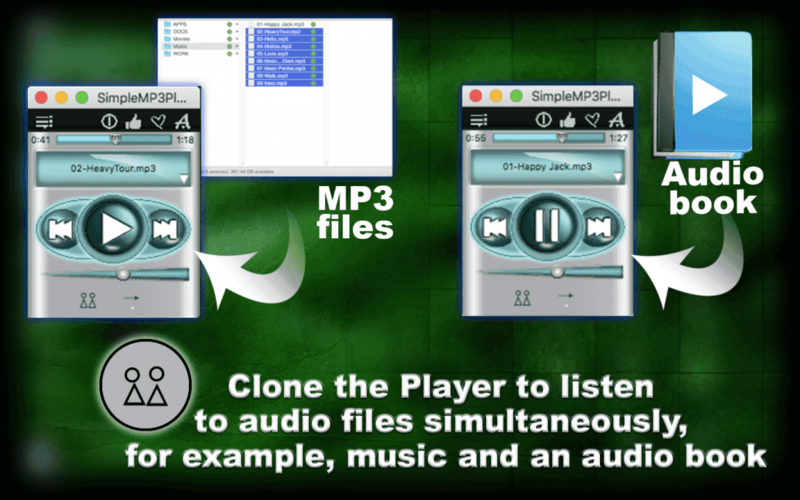 You can also clone the player and drop different MP3 files into it. Now, you can play the files from either one of the players, or, if you want to, use both of them at the same time! I have dragged existing playlists into the Simple MP3 player but the will not play. What is wrong? Does it not play from play lists? after dropping the mp3 files into the player and pressing the play button the player should play these files. If it does do it, please give us more detailed information, about the files you are trying to drop into the player. Alle Titel sind nach dem Beenden aus dem Speicher verschwunden. Muß man die jedes mal neu reinziehen? Danke – Ich bin der englischen Sprache NICHT mächtig. Ja, es ist so. Damit die Liste erhalten bleibt, schiessen Sie bitte die app, nicht sondern minimieren Sie die, dafür klicken Sie auf die “-” button oben. I had to have MAC rebuilt and need to reinstall full simple MP3 Player, how can I do so without repurchasing? Mike, you do not need to repurchase the app, it is your property. Just download the “Simple MP3 player” from the Mac App Store again.